Why Might You Call For a Bat or Wildlife Home Inspection? At Michigan Bat Control, Inc. we provide full service home inspection to identify your nuisance bat problem. If you have bats in your attic or other wildlife we will locate the nest and the entry point. We will give a written explanation of the problem identified along with an itemized price list of all the necessary repairs needed to solve your wildlife problem. Home inspections include; roof, attic, perimeter, foundation, chimney, and overview of your home and wildlife problem. Average inspection takes 30-40 minutes depending on the style of home and scope of your nuisance wildlife problem. Often times services can be provided at the time of the inspection if there is enough time to provide full service with out being rushed. It is very important to make sure all repairs are done thoroughly to prevent reentry of the wildlife. If there is a service charge all or a portion of the service and inspection fees are applied towards the total cost of the live bat exclusion. Free competitive bids and free inspections will be provided for certain areas depending on drive time and length of inspection. Prices very home to home depending on the number of repairs needed, style of home, pitch of roof, and an over all hardness of the job. Perimeter Check: A walk around the home locating the layout of the home and potential entry points. Attic Inspection: It is important this is done to locate entry points you wouldn't see from the outside and determine if there are damages or potential health risk. Roof and Chimney Inspection: This is key to locate the actual point of entry and determine other proofing areas to prevent the return of bats or other nuisance wildlife. The write up: We will give you a full written inspection checklist along with an itemized price list to exclude any existing bat, bird, or other nuisance wild animal. Our wildlife control operators will also take pictures during the inspection. All of our estimates and invoices will be sent via email. We carry tablets on all of our trucks. You will see the proposal during the time of the inspection as well. 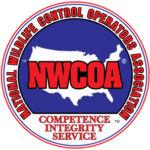 Walk through: After our inspection is complete we will walk you through our recommendations to complete your wildlife exclusion and prevention. Note: If you have already paid a service fee to another company, we offer free competitive bids to get rid of the bats. You must have the estimate so we know you have already paid a service fee. 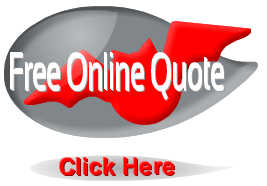 You don't need to pay several inspection fees to get the right quote. Our estimates are very competitive with most companies and often less expensive. Not all homes tell a story. Meaning evidence of entry points, droppings in the attic, or other potential entry points. Many times it is important to have a home inspected by a bat removal or nuisance wildlife control professional (not a pest control company). 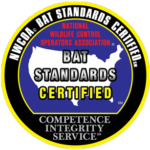 We know what to look for and can make the bat removal and wildlife control process a success with out harming the wildlife, you, or your home. Now that the inspection is complete it is time to get rid of the bats, birds, squirrels, raccoon's, mice, etc. All of our wildlife removal jobs are done through a safe and humane exclusion.